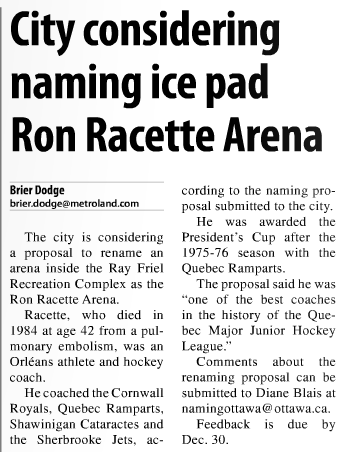 Under the initiative of SFOPHO, the city has named one of the ice surfaces at the Ray Friel Recreation Complex after a local legend, Ron Racette. 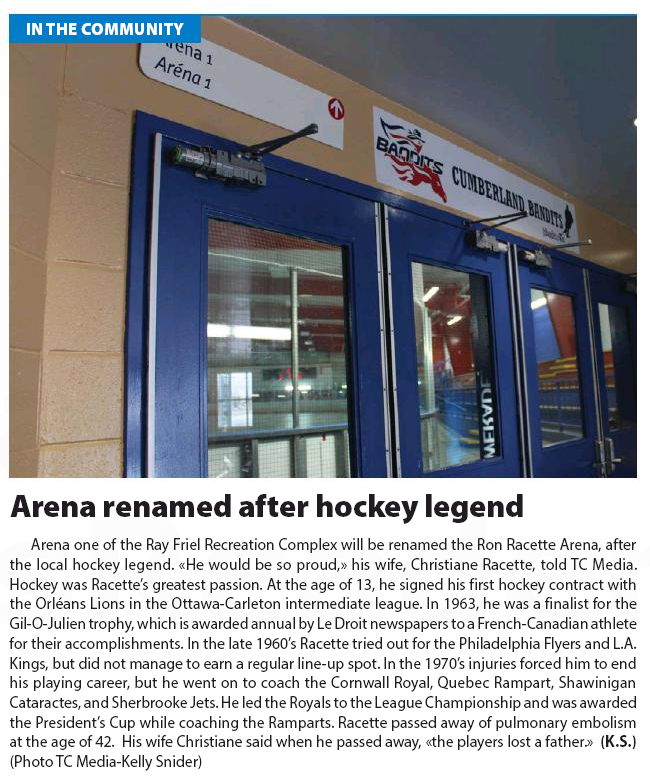 The SFOPHO initiated the proposal to name Arena 1 the «Ron Racette Arena». 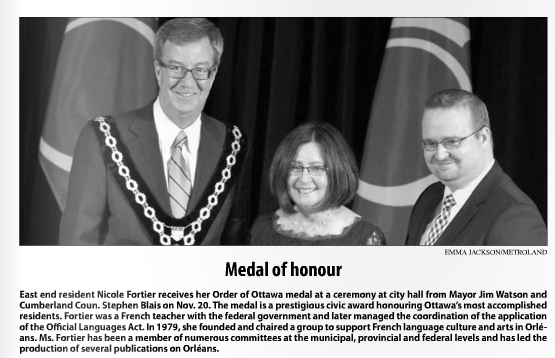 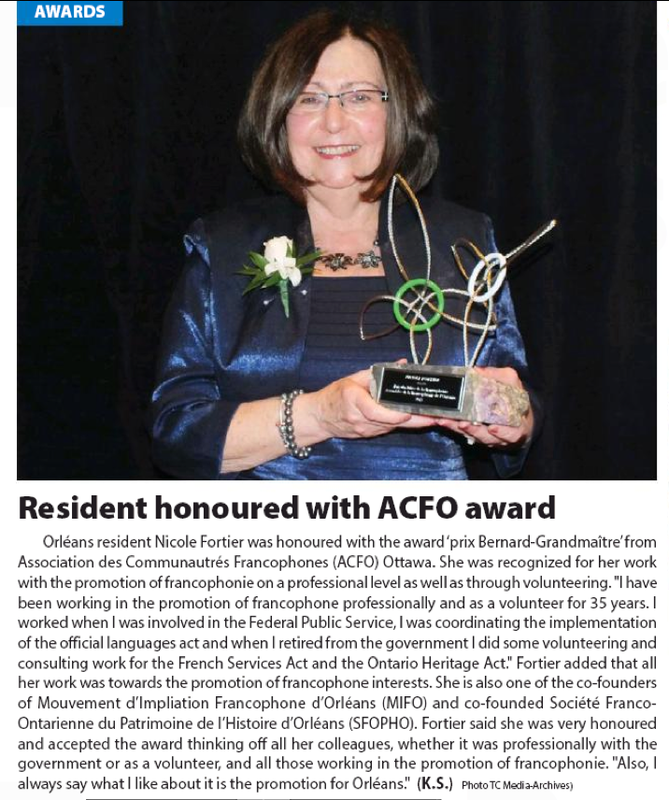 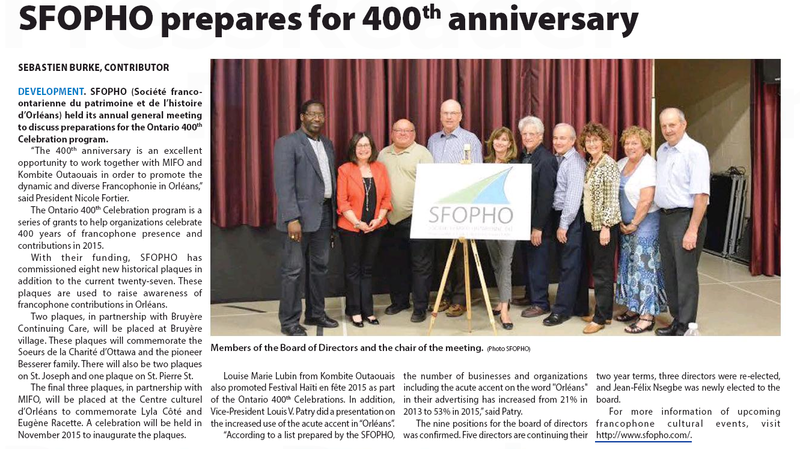 Latest news about SFOPHO published on the 11th of December 2014 in the Orléans News newspaper.